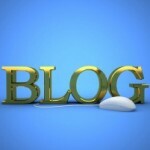 Once you create a WordPress Website you should refine established basic blog skills. A blog can do many things for you. Pay attention to the things you can do to create the perfect blog post that has good content, good SEO and that can bring traffic to your site. All it takes is a little extra attention to detail when you write your article. Take the time to plan what you want to post, what keywords are applicable for you to use, what image will fit (include an Alt tag), and make it 300 to 500 words in length. A blog is your personal platform for you to express your opinion on basically anything you wish. 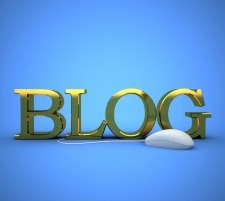 Blogs allow you to interact with your readers through allowing Comments. Personal blogs allow you to share photos and videos. Website blogs provide an important part to monetize your site by write-ups and reviews for promoting products through affiliate marketing, sidebar widgets, Adsense, ClickBank, Amazon and many other methods. An online blog allows you to promote yourself as an expert in your niche. To be successful in anything, you need to learn what provides the best results. So, I’m including some of the most important things you can do to obtain best results for your blog. The most important key for a successful blog is to concentrate on creating the best original content for each of your posts. Plan ahead of time for what you want to write about. Content always trumps everything else. So once you determine what your topic will be, research the topic to provide the very best. Choose a topic, write up a draft to help you decide on possible keywords, then investigate how those keywords will react by using a tool called Google Keyword Tool Box. You should also use an SEO Plugin such as WordPress SEO by Yoast (recommended) or All-In-One-SEO. I like the WordPress SEO plugin because once you set up the basic settings (My next post will be how best to do this), all you do is tweak your post until it turns green. It has a Page Analysis section which lists each category that Google and other ranking sites look for. When the light turns green, the category is good to go. I thought about this before I began writing this post. For instance I have a friend in the UK that took the John Thornhill Master Marketing Class from. She (Mandy Allen) runs a blog called Learn to Blog with Mandy Allen. Her latest post is “All I want for Christmas is…“. This is an example of external links. Another link I wanted to add in this post is for the renowned internet marketer Kim Roach posted called “How to Create a Wildly Popular Blog” which I encourage you to read, comment, and don’t forget to mention that I sent you there. The internal link I want you to check out is “Find Great Blog Topics” that I posted way back in January 2011. The post is still very appropriate today as it was back then. 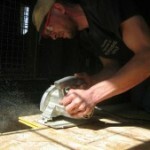 Blog topics are sometimes hard to think up after you’ve been posting in a blog for a long time. The post shows you some good places to look for ideas. Use short concise sentences that get the point across and are easy to read. The magic number of words per post should be around 300 to 500 words. Your keyword or key phrase should be used in sub-headings within the page. Keyword density should be 1.5 to -5% of what you write. You should always include a related image with an Alt Tag attached. So how is my SEO for this post? I have all green lights for all 12 items on the list.